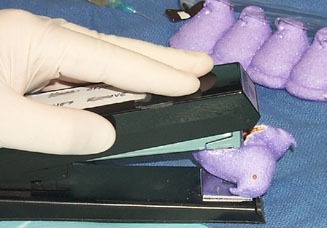 After separating the first chick, exposed fluffathelium was cauterized with a soldering iron. 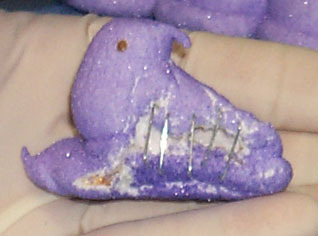 Note at left the sterile, cauterized wound. 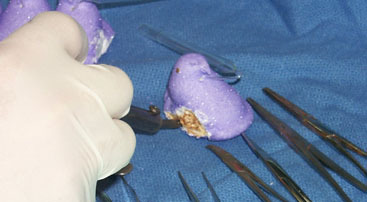 Surgical staples being unavailable, the initial wound closure was carried out with office staples. 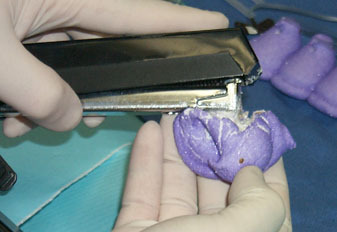 Aperture of the Swingline stapler was adjusted to implant fastener. 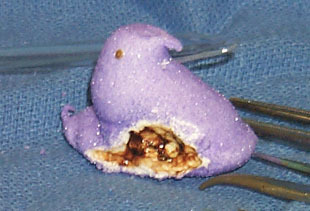 Unfortunately, mild deformation of the patient resulted. 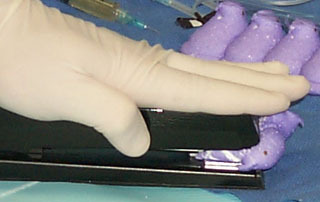 Additional staples were applied to finish closing the wound, although later assessment determined that staple-mediated wound closure was sub-optimal.